If you have time to spare in Perth I would definitely recommend hopping on the tram and spending an afternoon on Cottesloe Beach. 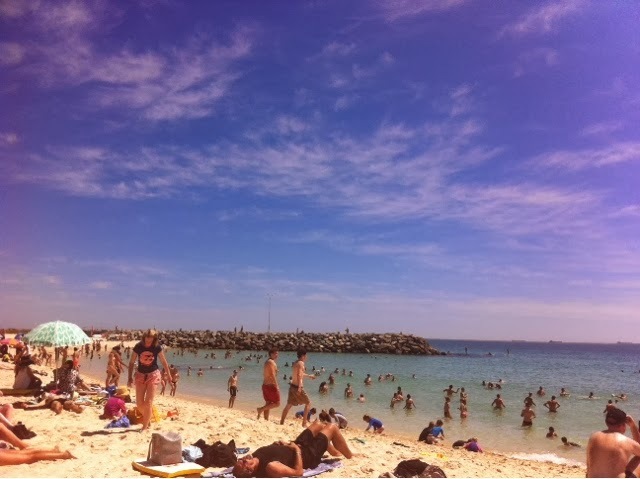 When you think 'typical Aussie beach' that's Cottesloe. 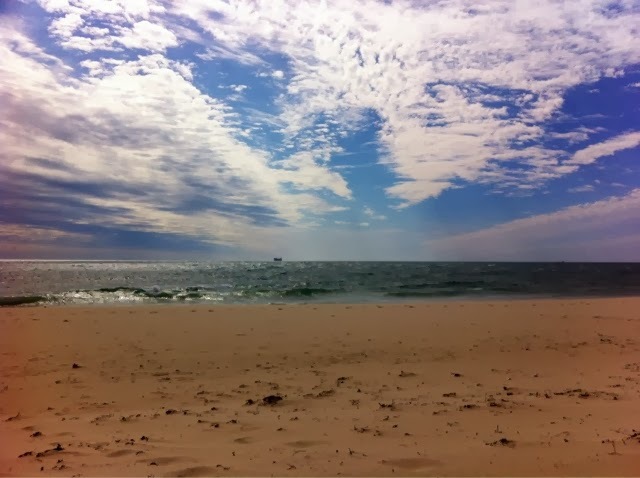 At weekends it's absolutely rammed (that's when I'd recommend a trip to the beaches at the north Fremantle stop for a more peaceful atmosphere) so be prepared now it's summer time. Cottesloe has it's own surf and life saving club which, as an avid viewer of Home & Away, I loved this. It reminded me of summer bay and the surf club. The beach was alive with volunteers and it was really nice to see so many young people getting involved. If you get a bit too warm and are in need of something...cool, tasty...okay, so I'm always hungry and will find an excuse for food - especially when it's frozen yoghurt. That's where Red Spoon comes in - deeeelicious! They also do smoothies and milkshakes too. Along the beach road is a lovely Italian cafe next to Red Spoon; the food looked absolutely delicious but unfortunately, we'd already grabbed a sandwich from The General Store (a little further down the road). Cottesloe is alive with people at the weekends; in the restaurants, at the bars, catching some sunshine on the beach - it's a beautiful place.